Why do you NEED Lowlines? Profit is the driving force in any business. Cattle are no different. The idea is to produce more pounds of beef per acre on the same cost of inputs. The research is available, the American Aberdeen can do just that for the Commerical Cattle producer. 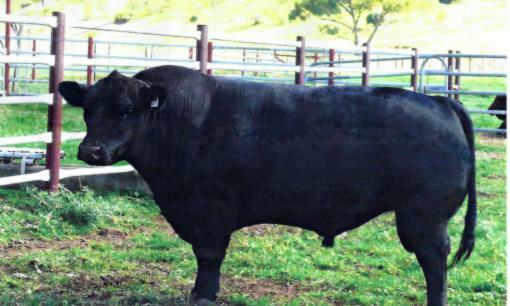 The American Angus Association has asked their producers for 1000 lb carcuss weights. Almost every purebred commerical breed in the US has the 1500 lb average cows. In order to reach the 1000 lb carcuss size must be reduced. With American Aberdeens the Commerical Producer can reach the desired 1000 lb carcuss weight easily without giving up any of their performance in the pasture. If more money is your goal, please read some of our information on how the American Aberdeen Cattle can translate into profit! In 2007, Flying J&L Ranch purchased its first pair of American Aberdeens from Lone Tree Lowlines. Since then our herd has grown to include over 50 fullblood American Aberdeens. Through the use of our American Aberdeen cattle we have been able to establish one of the most efficient cattle herds in the nation. Our F1 and F2 Lowline crosses outperform both breeds which they are created from. On this page you will find information on the creation of the American Aberdeen breed and the economic benefits of infusing Lowline genetics into your herd.